Getting paid on a claim is difficult and often met by unforeseen obstacles that can cause unwanted and lengthy delays. Due to the governing law, processing requirements imposed by the fund holder or excessive bureaucratic red tape, it often takes a very long time to get paid … sometimes too long. We are here to help. Global will purchase all or a portion of your claim with cash now. No more statutory waiting periods. No more bureaucratic delays. No more waiting. With The Cash-Now Advantage Program Offered By Global Discoveries, You Get Your Cash Now For Any Reason. Need Money To Buy A New Home? Need Money For Home Improvements Or Additions? Need Money To Take That Needed Vacation? Need Money To Buy That New Automobile? Or Special Occasion? Need Money For College Tuition? Need Money For That Special Wedding Day? Need Money To Pay For The New Addition To The Family? Need Money To Help A Family Member Out With Finances? Need Money To Pay Income Taxes? Need Money To Pay Off Your Debts Or Bring Them Current? Need Money To Up Your Back Rent? Need Money To Pay Your Mortgage Current Or To Prevent A Foreclosure? Usually you do not earn interest on your money while you are waiting to be paid. If you take "Cash Now" you can invest your money now vs. later! It May Take A While To Be Paid The Money That You're Due! There are a number of reasons why a claim may be delayed. Competing claims, legal issues, or the need to supply additional documents can substantially slow the process. It's also important to know that in most cases there are no laws governing how quickly holders or trustees must pay claims, allowing them to invest and gain interest on the funds. With little or no incentive to release those funds, many claims can take from several months to several years to complete. Offers you the opportunity to receive a portion of your claim in advance. You can take some of it now and more of it later. It's your choice. 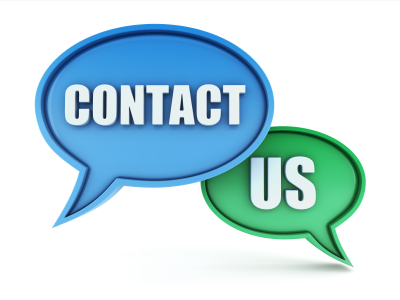 Tell us your needs and allow us to customize a program that will work for you. With any option, the process will be fast and simple and you'll typically get paid in five to seven business days. We handle all of the paperwork, pay you immediately and assume all of the risk. Should your claim be denied you will owe us nothing and will never have to pay us back a penny of the funds you were advanced. Contact us today at info@globaldiscoveries.com or call (209) 593-3900 or toll-free at (800) 370-0372 to see if your claim meets the eligibility requirements for one of the above programs.